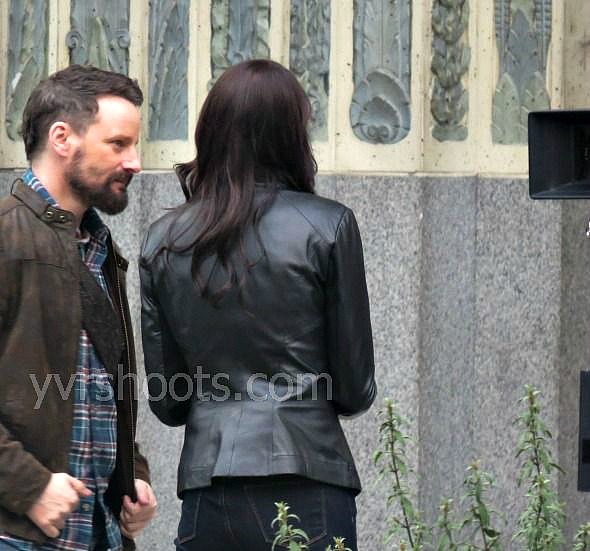 Who is the mysterious John Doe (Ryan Robbins) in the final episodes of Continuum season three? And what is his connection to Vancouver-cop-from-the-future-and-freelancer Kiera Cameron (Rachel Nichols)? I have some ideas about who John Doe might be but no inside information. 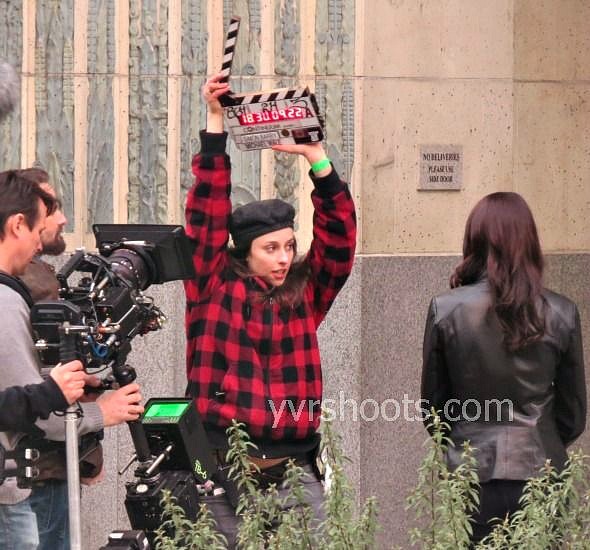 And as Continuum has proved over and over again, creator and showrunner Simon Barry loves to surprise the audience and his cast. 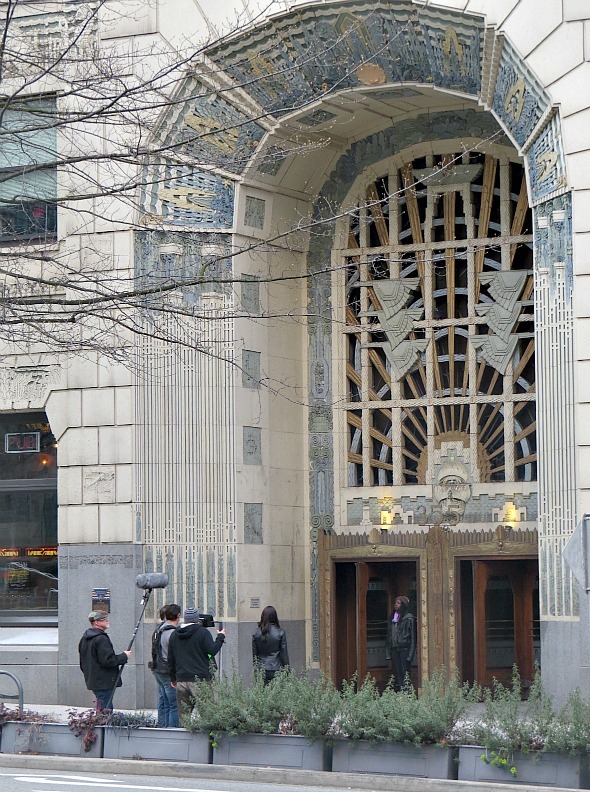 Continuum wrapped filming of its third season last Friday but the last big downtown shoot was on Thursday at Oceanic Plaza and inside and outside the iconic Marine Building. The scene: Kiera Cameron and the mysterious John Doe enter the Marine building in serious character mode. And then Rachel Nichols and Ryan Robbins exit laughing. Impromptu dancing even broke out after one take. 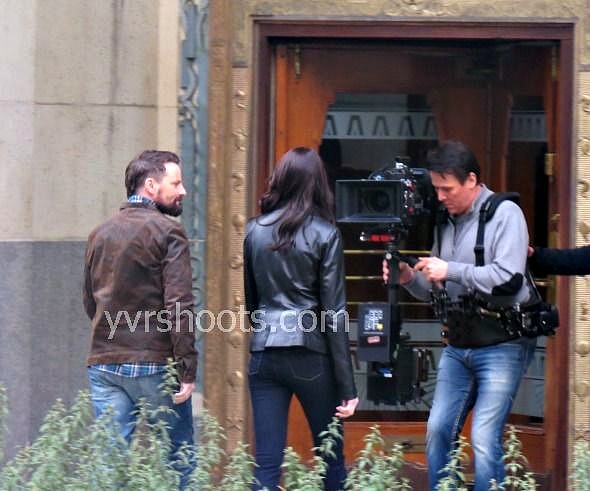 Ryan Robbins tweets on the day of the Marine Building shoot. Steadi-cam shot of the scene. 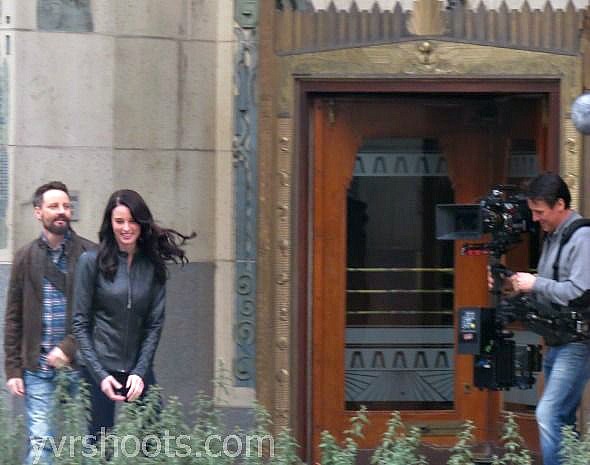 Related: Liber8’s Roger Cross & Lexa Doig Film in Oceanic Plaza. Continuum 3×03 Minute to Win It airs Good Friday, April 18th, on Syfy in the U.S. and 3×06 Wasted Minute airs Sunday, April 27th, on Showcase in Canada. Yes! Finally someone writes about vancouver.